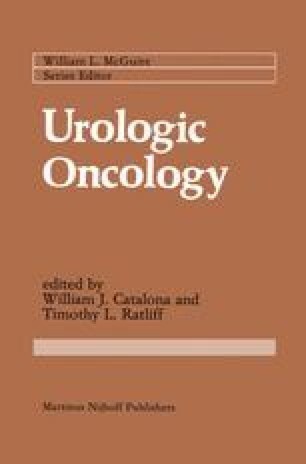 There exist only speculative chemotherapy protocols for most genitourinary malignancies. With the exception of non-seminomatous testicular carcinoma, most patients with metastatic cancer will have an uncertain response to chemotherapy. While predictive in vitro chemosensitivity testing for various malignancies has lately been exploited at the commercial level, no one type of test has gained the confidence accorded disc sensitivity testing for infectious diseases. National Kidney Foundation Fellow (1981–1983).